Grant Purpose: To support the intensive Financial Independence Track (FIT) for women experiencing homelessness and/or domestic violence. The program includes one-on-one financial education and employment counseling. Doorways for Women and Families creates pathways out of domestic violence and homelessness leading to safe and stable lives. They strive to end homelessness and family and intimate partner violence by offering safe shelter and housing, life changing support services and community advocacy. On an annual basis, Doorways provides more than 24,000 bed nights of shelter to approximately 250 homeless individuals, of whom more than half are children. They operate an 11-bed Safehouse Shelter, a 24/7 Domestic Violence hotline, and a bilingual court advocacy and companionship program. Their Freddie Mac Foundation Family Home provides housing (21 beds), food, skill building opportunities, referrals, and supportive counseling and goal planning services to women, children and families experiencing homelessness. Additionally, they operate a long-term supportive housing program for 21-23 families who need assistance to leave Doorways shelters. In 2004, Doorways created the Financial Independence Track (FIT) to build financial literacy and behavioral capacities essential in helping women escape poverty, domestic violence and homelessness. Grant Purpose: To improve the quality of the family childcare workforce in Fairfax County by developing a model program for family child care that serves to increase the competencies of participating family child care professionals and also enhances the school readiness skills of three and four year old children in their care. Fairfax Futures is dedicated to ensuring that the county's youngest children are well prepared to succeed in school and in life. In collaboration with partners across the county, they invest in early childhood education and school readiness by bringing attention and financial resources to sustain the region's future. Fairfax Futures is dedicated to ensuring that the county's youngest children are well prepared to succeed in school and in life. In collaboration with partners across the county, they invest in early childhood education and school readiness by bringing attention and financial resources to sustain the region's future. The goal of the Neighborhood School Readiness Project is to help create a sustainable and replicable model for successfully transitioning Fairfax County children to kindergarten, regardless of their socio-economic status. Grant Purpose: To support job training and placement services for low-income women in the region, with a focus on hospitality and security/protective services. Goodwill of Greater Washington's mission is to transform lives and communities through the power of education and employment. The organization serves more than 3,000 people with disadvantages and disabilities each year, to build dignity through work and achieve self-sufficiency by overcoming barriers to employment, obtaining marketable skills, and earning a record of success. Grant Purpose: The Women’s Foundation sits on the collaborative’s Steering Committee, which brings together grantmakers to develop and fund strategies that help low-income adults throughout the region obtain and retain jobs that provide good wages, benefits and opportunities for advancement. Housed at The Community Foundation for the National Capital Region, the Greater Washington Workforce Development Collaborative is a coalition of philanthropic and business stakeholders who pool their resources to strengthen regional workforce development efforts. The collaborative's mission is to help low-income workers increase their skills and credentials so they can achieve family economic security. Investments in people connect low-income workers to high-quality career coaching, education, training, and supportive services that enhance their skills and career prospects. Investments in workforce development programs provide capacity building supports, peer networking opportunities, and technical assistance to help providers strengthen the effectiveness of their services, scale their efforts, and work more successfully with employers. Investments in workforce development policies support advocacy and research efforts that promote responsible stewardship of federal, state, and local workforce development resources. Grant Purpose: To support the Early Childhood Learning Institute, helping low-income women earn a Child Development Associate credential and college credits towards an Associate degree in Early Childhood Education, thereby increasing their career opportunities, encouraging higher pay at centers in the region, and improving the quality of care in the region. Founded in 1939 and named in memory of Dr. J. Milton Hopkins, an African-American physician who practiced in Alexandria at the beginning of the last century, Hopkins House provides quality educational programs and opportunities for children, youth and their families, particularly at-risk and low-income working families with the goal of helping them achieve their full intellectual, economic and social potential. Hopkins House programs are divided into two categories: Early Care and Education programs, including an infant center and preschool programs, and Family Education Programs, including family literacy and homeownership workshops for adults 18 and older. Hopkins House's Early Childhood Learning Institute (ECLI) was formed in 2009 in response to the need for highly skilled and qualified childcare workers in Northern Virginia. Grant Purpose: To support workforce development services for low-income immigrant women through vocational and technical education to find meaningful jobs in the food service industry. La Cocina VA opened two years ago and serves low-income immigrant women through a 17 week culinary-arts job training program, tailored to the unique needs of this population. The program provides comprehensive services, job placement, and certifications to program participants through key partnerships with employers in Northern Virginia. Grant Purpose: To support the financial capability initiative, which will provide coaching and financial tools to low-income women. The mission of the Latino Economic Development Center (LEDC) is to drive the economic and social advancement of low- to moderate-income Latinos and other Washington area residents by equipping them with the skills and tools to achieve financial independence and become leaders in their communities. The organization's vision is that all area residents have the awareness and equitable access to resources in order to create economic opportunity for themselves and their families by building financial assets and becoming actively invested and engaged in their communities. LEDC's core program areas and activities include: Small Business Development and Lending Services, Homeownership and Foreclosure Counseling, and Affordable Housing Preservation. Grant Purpose: To support the Metro DC Reading Corps Pre-K Program, which embeds literacy tutors in DC and Alexandria’s highest-need early childhood classrooms to provide children with daily literacy interventions that prepare them for kindergarten and future educational success. 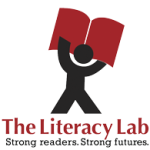 The Literacy Lab provides low-income children with individualized reading instruction in order to improve their literacy, leading to greater success in school and increased opportunities in life. The organization’s programs fall into three major areas – after school literacy programming, family literacy programming for homeless parents and children, and the Metro DC Reading Corps. The Metro DC Reading Corps program was launched last year, as a national replication site based on the Minnesota Reading Corps model, a large-scale, evidence-based program utilizing AmeriCorps volunteers to serve 30,000 children annually in Minnesota. Grant Purpose: To support advocacy efforts around the Child Care Subsidy Program, including both state and local advocacy. 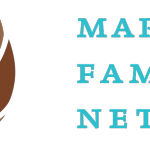 Founded in 1945, Maryland Family Network (MFN) is the state’s largest and oldest state-wide child advocacy organization and works to ensure young children and their families have the needed resources to learn and succeed. MFN primarily focuses on children from birth to age five and achieves this mission by collaborating with parents, providers, advocates and government agencies. MFN has provided a strong voice in the General Assembly and state agencies for public policies that improve the quality of life for Maryland’s children and families. Grant Purpose: To support a “grasstops” media, public, and policymaker education campaign to expand early learning opportunities for children in the Washington region, with particular emphasis on Northern Virginia. Launched in 2009, Mission: Readiness is a nonprofit, bipartisan organization led by senior retired military leaders ensuring continued American security and prosperity into the 21st century by calling for smart investments in the upcoming generation of American children. To-date, 400 retired admirals and generals have advocated for early care and education as a critical investment in our national security. One quarter of the organization’s membership is located in the Washington region.